Imported from Peru to Australia in 2002. Brilliant fine white fleece (20.0 micron at six years of age). 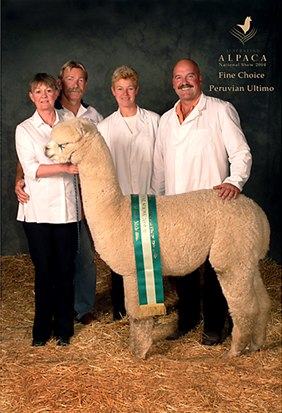 Sire of Victorian region "Alpaca of the Year", 2005. 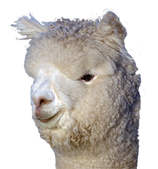 Winner of Supreme Champion at consecutive Royal Adelaide Shows (2002 and 2003) and Australia's second largest alpaca show, Royal Melbourne Show (2002).